This place was super clean and all staff members were extremely helpful! Only needed a unit for a few days before my new apartment was ready. They were so helpful and the new facility was very well taken care of. The staff were over the top. Would recommend. Offered us cold Water bottles in the hot Texas heat so no one passed out. I needed storage for a month while I was between student apartments and saw that CubeSmart was offering the first month free, so all I had to pay was the admin fee, insurance, and cost for the lock. That was only about $50 total! I got a 5x10 and it fit a bookshelf, desk, side table, chair, 2 couches, and a mattress comfortably with plenty of room left to stack upwards. The manager was very helpful in explaining the terms and advice on how to get to and use the storage. I do feel like the cost of such a small space is a bit high if I continued past 1 month, and there were definitely some cobwebs and cockroaches seen as we were walking through the facility. Those are the only cons. It's very conviently located close to S. Congress. Easy in and out of facility. The check-in was super easy, the employee that worked with me was extremely nice and informative and the unit was clean and ready to go when I got there with my belongings!! Definitely a really good place for storage! Very good customer service and quick and easy. I loved the quick and easy process. Customer service was great. I will recommend to a friend. Jonathan was very helpful and the process was so smooth! Dawn and her team our great! Very clean facility and attentive staff. New, clean, good location, easy to access, good price. I'm so glad I found Cubesmart Storage! 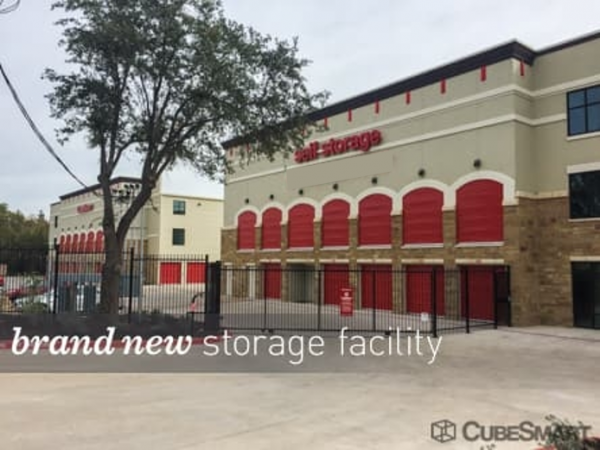 Cubesmart is a friendly, no-hassle storage facility. Dawn was so helpful with the orientation process and making sure I had everything I needed. I'm very happy with my experience! New, very clean facility, and the customer service was incredible. This facility exceeded my expectations. It was new, very clean, felt safe, and the customer service was outstanding. I highly recommend this facility. Brand new storage. Dawn manager is very helpful. Overall things went smoothly and I'm satisfied with the building/location/security. Simple move in process with great customer service. Great option for near downtown! The booking process was so smooth. Come prepared with insurance if you have it and an ID. Otherwise, not much else to do! Super quick. Great customer service, will definitely be recommending to friends. The facility is new, clean, and has great customer service. Will be using this place in Austin from now on! Staff was very friendly and very professional. Went out of the way to make sure everything was perfect. Very pleasant to work with. 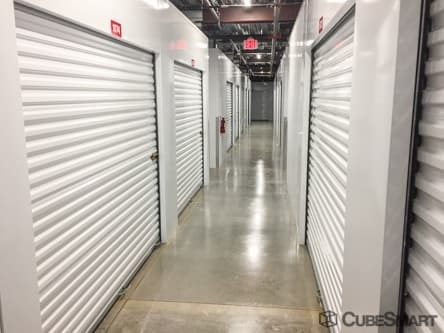 Facility is super clean and easy access to units with carts available to help move your things and you can right up to entrance (my unit is on 3rd floor) to unload and load your things. Feels safe and secure. Very comfortable. Appears to be the a well managed business. My unit was clean and easy to access on the second floor. Hallways are wide and easily navigable with dolly or the provided carts. All in all moving my things into my unit was a breeze. 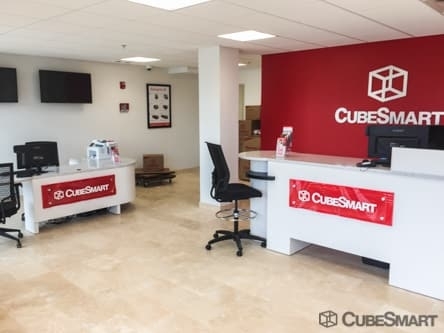 My experience with this CubeSmart location was great! When I made my reservation online, they were quick to call me with confirmation. They also called me on my move-in day to confirm again. I appreciated the time they took for me as an individual customer. When I showed up, he had all of the paperwork ready for me and was very thorough when going through the paperwork I had to sign. 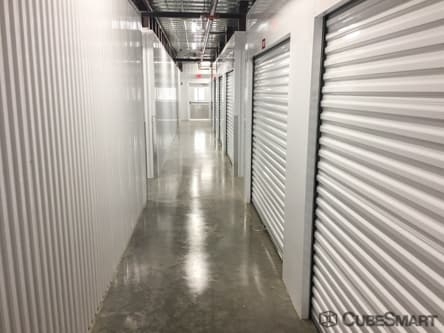 The facility is super clean, which is exactly why I moved out of my previous storage unit location. The only reason I give them 4.5 stars rather than 5 is because I think the pricing is just fair, and nothing spectacular (not that I have a ton of experience with storage units). I highly recommend this location!! So far, so good.